For anyone in the Detroit and SE Michigan area this will be the event to go to this weekend! 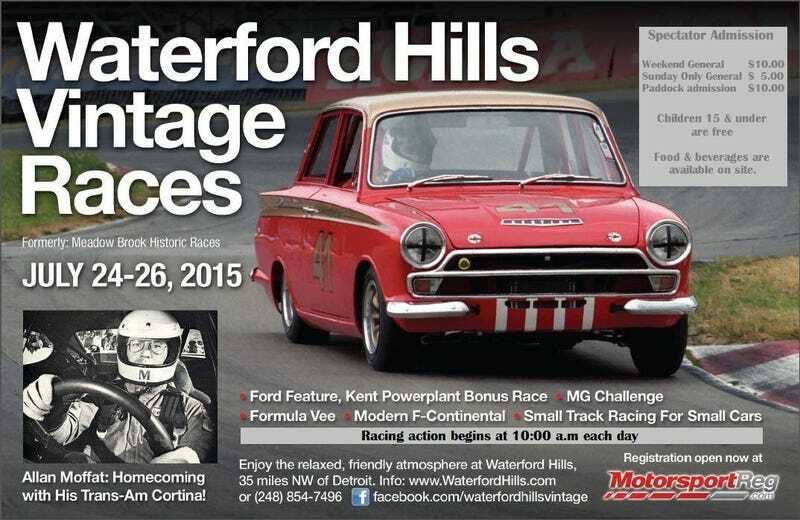 After you wrap up at the local C&Cs make a stop out to Waterford to check out some vintage racing machinery. This is the only event of the year with no sound restrictions, so listen to the fully glory of old twin cams. It tends to be a pretty big spectator event, with vendors and sponsors on site, and the paddock slammed with racing cars. The Formula Vees always put on a hell of a race. Plus there will be some big power Can-Am machinery present. One year there was a GT40! I’ll be out there running in the modern showcase group for Formula Continental. If you make it out stop on by and say hi.